Preserving tomatoes is a very easy thing to do. You can preserve cherry tomatoes, heirloom tomatoes and even tomatoes on the vine. You only need 5 ingredients to preserve tomatoes those beautiful summer tomatoes you grew! 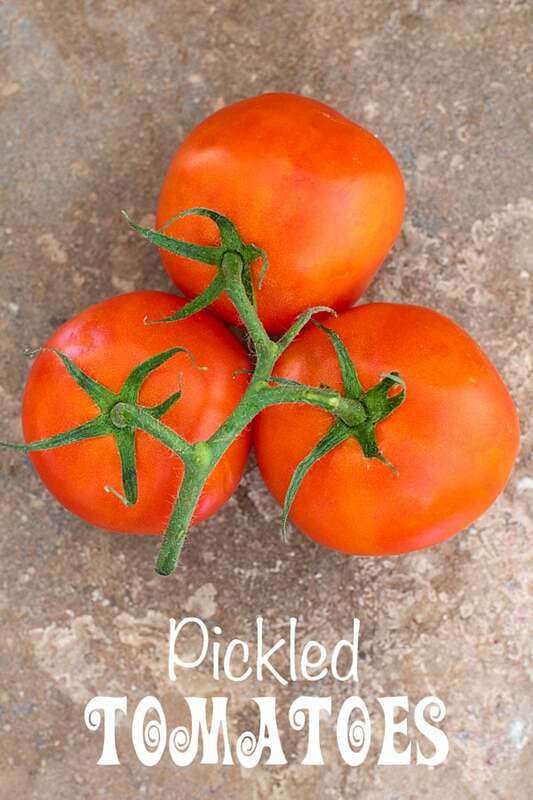 How often do you hear “tomato” and “pickle” in the same sentence? That makes me sad! So, I decided to change all of that and hope that everyone will start pickling them. Every summer, when you grow tomatoes, what do you end up doing with them? Give it to friends? Can them? Let them spoil? Instead, pickling them is a much better idea and they will be good in so many different recipes. 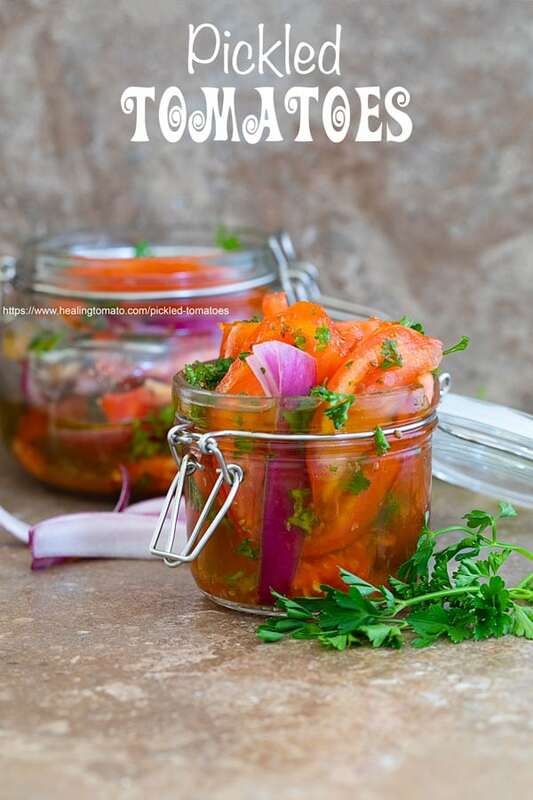 Before preserving tomatoes, I pickled vegetables like cauliflower, carrots, bell pepper and pearl onions. This is a great way to save veggies that don’t get used. Its such a bummer when you paid so much for cauliflower only to put it in a compost bin, right? Pickling them makes me not feel guilty. I used Extra Virgin Olive Oil that I used in my Pumpkin Olive Oil Bread. 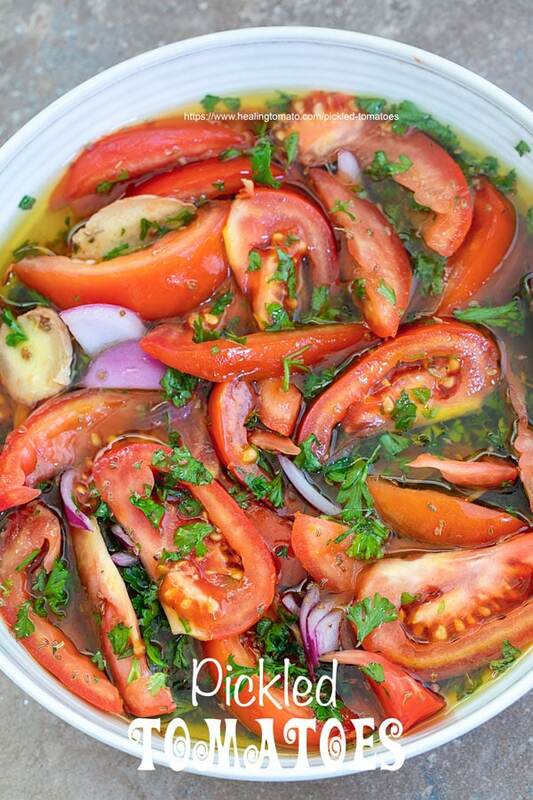 You can also use Greek Extra Virgin Olive Oil to pickle tomatoes. What kind of tomatoes can be pickled? 3. Its a very therapeutic process. 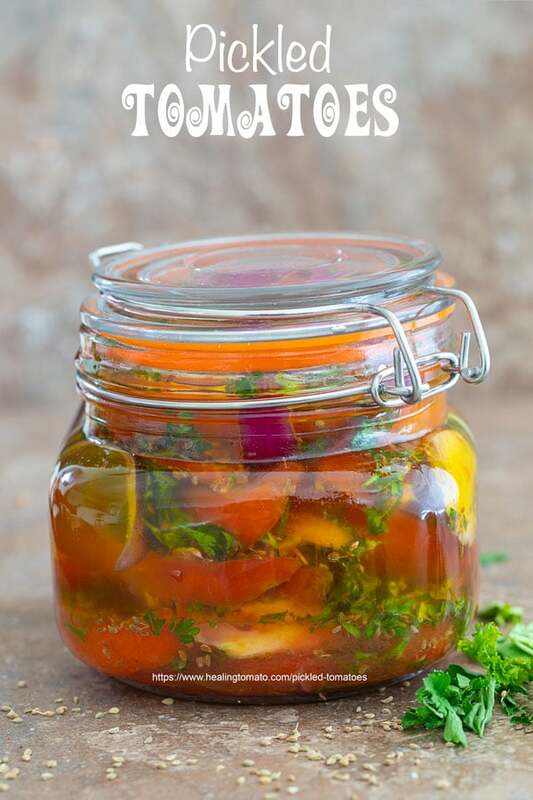 In what recipes can you use these preserved tomatoes? Check out my 5 colorful tomatoes. Which one is your favorite? A good tomato should never be missed. In the cold, harsh winter months, your preserved tomatoes are going to remind you of a fun afternoon spent on the beach in the summer. 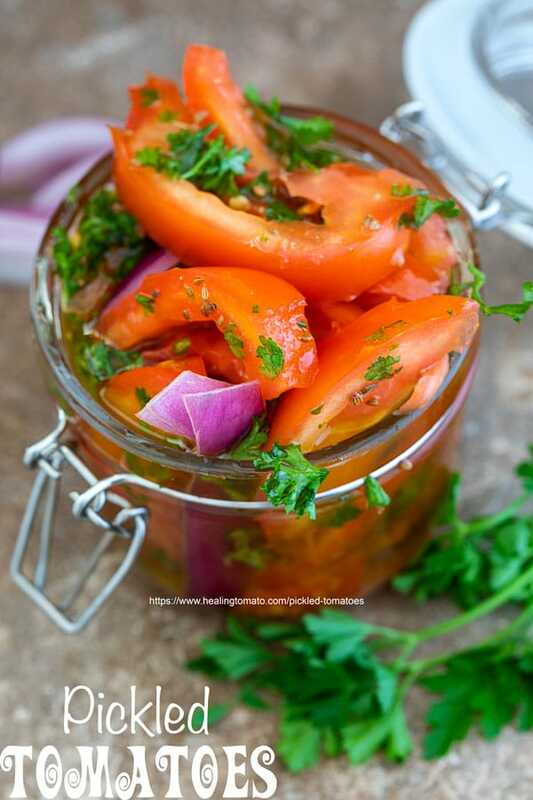 All the spices and herbs added during the preserving process enhances the flavor of tomatoes. It adds spice, sweetness and tang to the tomatoes. Seriously! Take a few tomatoes and preserve them right now. You will know exactly what I mean. Its like when you see people working on the Nature Japanese Garden with the tiny rakes and sand. Until you try it yourself, you don’t understand why they get so much peace out of it. The same thing happens when you preserve tomatoes. 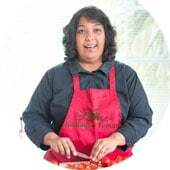 Adding the ginger, carom seeds, onions and parsley to the tomatoes will light up your eyes because of the colorful medley. The best part is lazily adding the oil to the bowl and mixing it. Its a very Zen experience! Have you checked out the history of tomatoes? 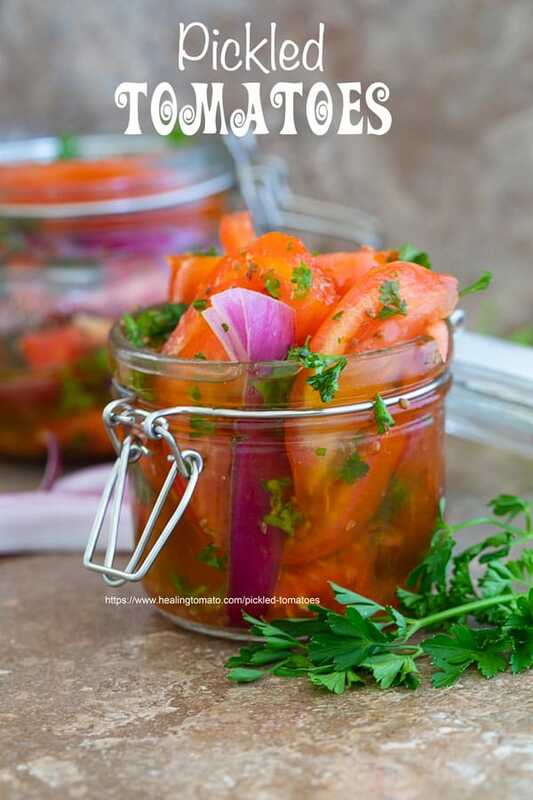 Cuban sofrito is so versatile because you can use it in so many different recipes. You can put them in so many different meals like burritos and enchiladas. Plus, a sofrito recipe can last a really long time. You can even freeze them in ice cubes and keep it for months. My friend Deb at Bowl Me Over is seriously talented. 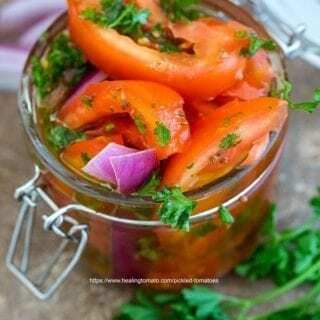 She posted this Tomato Relish recipe on my blog a while back and it has received so many, many compliments. Its such an easy recipe and you get to use nothing but fresh tomatoes in it. Oven roasted cherry tomatoes are so good! You can eat them like candy! When roasted, the cherry tomatoes releases their juices and turns it into a sweet, yummy snack or topping. 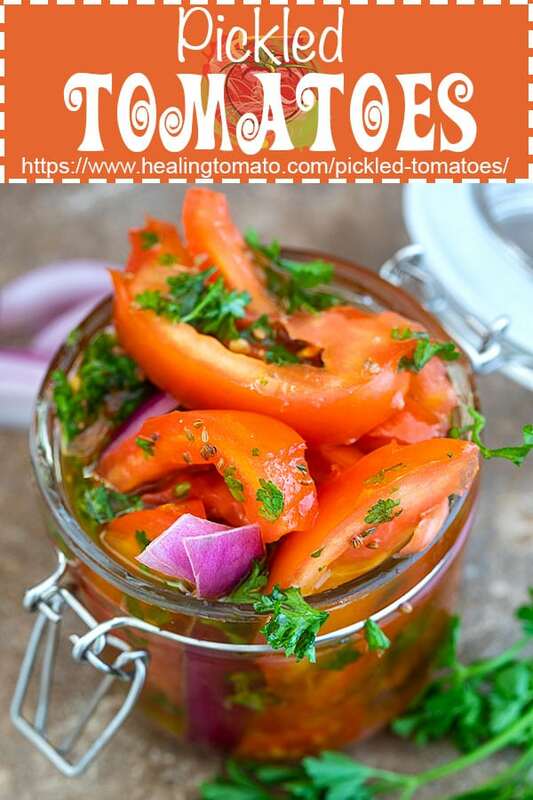 - If refrigerated, the pickled tomato can last about a month before they start to have fungus growing on them. Because its warm here we can get fresh tomatoes almost all year long but I love the addition of the spices and herbs for an extra tang! I can’t wait to try this next time I have extra tomatoes! This sounds so good! I’m confused. There is no vinegar in this recipe? With the name Pickled Tomatoes, I expected it to have vinegar. Do they not have the traditional “pickled” flavor? Is this more of a way to keep fresh tomatoes a bit longer? Thank you, Lisa. This is about preserving tomatoes and not necessarily pickling them. This is for keeping them fresh for about 2 weeks. You can also add vinegar. Just reduce the amount of oil. I am currently experimenting on a recipe and will post it later. This is such a great idea that also looks delicious! I have to try this for sure! I am pinning this and will be making it soon. 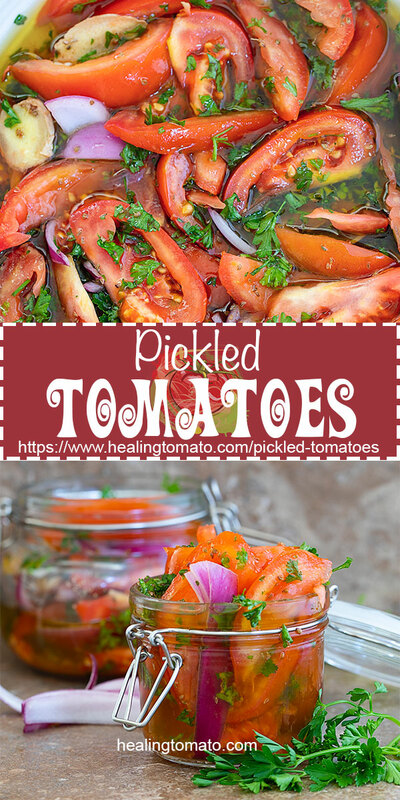 I cant believe Ive never thought to pickle tomatoes.. what a great idea! Definitely saving this for when we get some great tomatoes! This is such a delicious way to savor the summer bounty, especially when you get a nice and sweet tomato harvest. So simple and I agree that preserving is therapeutic! A jar of tomatoes would be a great holiday gift too! These look fabulous. I like the idea of adding them to soups. Or, I like to make meatball casseroles (with meatless meatballs), and toss some of these tomatoes in – super yum! This sounds amazing and I’m thinking it would taste great as a bruschetta on a piece of crusty bread! Aww, thank you so much, Julie. I love the idea of putting it on bruschetta.